Artist, author of “No Sewing Until You Quilt It”, and inventor of Ann’s Magic Buttons. forced her to think of a quicker way to finish her project for the Asheville Quilt Show. for quilting. “No Sewing Until You Quilt It – French Fuse Appliqué” is the result. without ripping out seams. 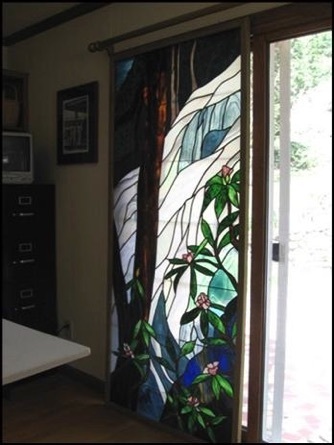 See Rainbow Falls below in stained glass and the quilt it inspired. 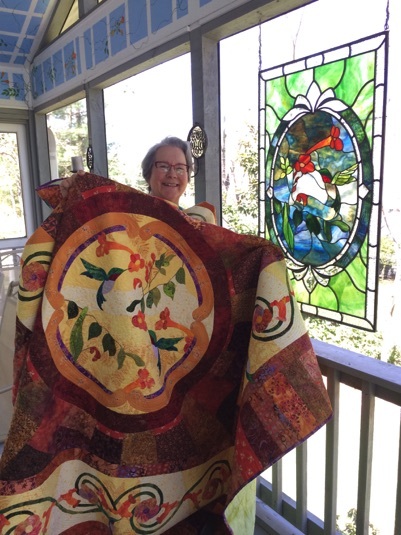 It was the first quilt she made with her “NO Sewing Until You Quilt It” technique. Ann’s book “No Sewing Until You Quilt It”, by AQS, her Magic Button and the other supplies used in her technique are available in Ann’s Online Store. Visit my blog: where I keep you posted on my current projects. Watch this for an overview of her technique. 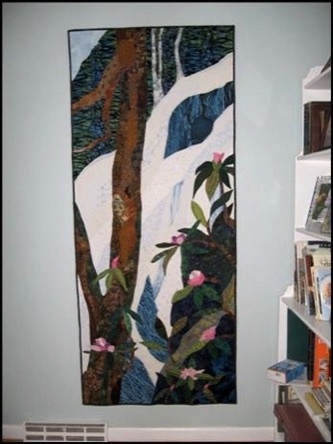 Ann's current project "Springtime in the Mountains"